The dust had hardly settled on the arguments whether RT “hacked” a C-SPAN broadcast, when a glitch led to a guest commentator on MSNBC repeating the word “Russia” over and over. While some panicked, others took the case as a fairly good metaphor. Russia has no doubt become a central theme in the US media lately, with Moscow’s ‘long arm’ seen everywhere from US presidential elections to the US power grid. 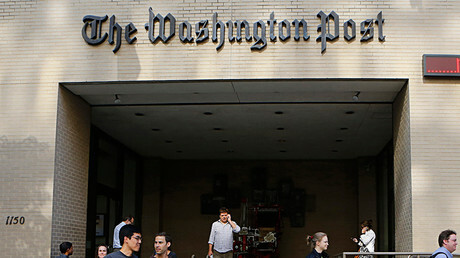 News on the latter was actively spread by the Washington Post, which broke an unverified report saying that “a Russian operation” hacked a Vermont-based power company, before backtracking on the incredulous claim when the company commented. 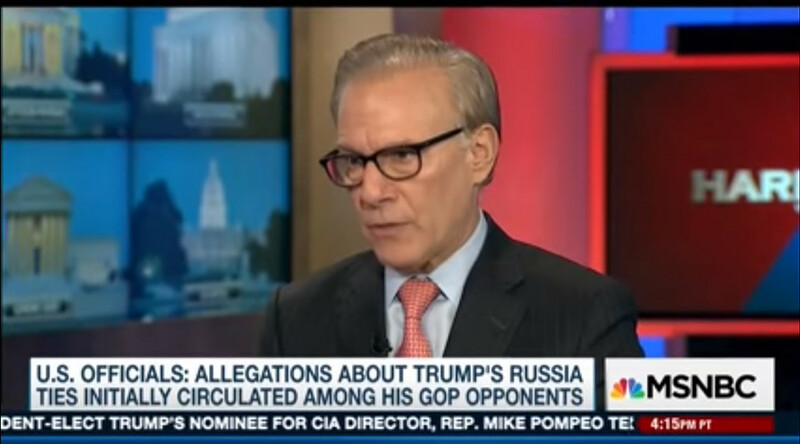 The hot topic of Russia’s alleged hacking and possible repercussions for Moscow under the incoming presidential administration was the very thing discussed by prominent Washington Post columnist David Ignatius as he spoke on MSNBC’s Hardball with Chris Matthews. Suddenly, the transmission of the show froze, with the feed showing Ignatius repeating an incomplete phrase “on Russia” over a dozen times in a row, before the screen went black and the MSNBC feed was restored with Matthews speaking. “When you hear General Mattis today, Mike Pompeo, the CIA director, [all] almost swearing that they’re gonna be hardliners on Russia…,” the columnist was saying as the glitch occurred. Commenting on the incident, MSNBC spokesman blamed “a technical glitch that was resolved in a matter of seconds,” for the mishap, while telling CNN that the program was pre-taped. Commentators on social media, however, appeared to be in disbelief that no trace of “Russian hackers” was to be expected this time. “In a Hilarious Glitch? That's pretty dumb. Playing down the threat I suppose,” Jason Wade wrote, commenting on a headline by news and opinion blog Mediaite. “Yup, it was definitely Russian hackers doing this. Russian hackers hacked my toaster the other day. Maybe it was done by CrazyRussianHacker,” another YouTube user wrote in the comments to the video. “GUYZ!!! The Russians hacked MSNBC live on air!!! !” seemingly panicked Dallas Yu wrote. “RT broke into C-Span Max Headroom-style, and this creeptastic weirdness happened. Should we call Scooby?” @JLiGr wondered on Twitter. RT broke into C-Span Max Headroom-style, and this creeptastic weirdness happened. Not all the viewers were so light-hearted, with some pointing out that apart from being hilariously creepy, the message seemingly rammed home by Ignatius could also be taken as a metaphor of mainstream coverage, given that Russia was propelled to the center stage of the 2016 presidential campaign by the Clinton camp. “This is pure gold. This is an exact summary Hillary Clinton's election campaign. Some lies and sh*t in the beginning. Then Russia, Russia, Russia, Russia until fade to nothing. Brilliant,” NightStalkerDNS wrote on YouTube. As for the C-SPAN incident – when a broadcasting error saw C-SPAN’s regular feed cut to an RT transmission for 10 minutes – the US network admitted that the on-air incident was the result of “an internal routing error.” It wasn’t long though before rumors implicating Russia and RT started to make the rounds online, giving chills to those who believe in Russian hacking theories, and seriously depleting RT staff’s stock of popcorn. “I am starting to believe that Russian hackers have infiltrated the heads of the US establishment,” RT editor-in-chief Margarita Simonyan told RIA Novosti on Friday, calling out the anti-Russian hysteria in the US mainstream media.